The following links will open in a new tab or browser window. Absentee Ballot Application. Return application to the Bedford County Board of Elections. 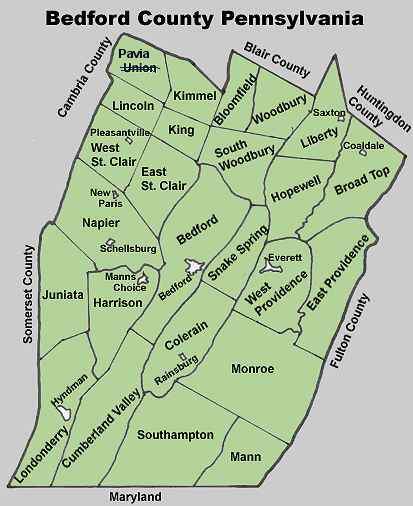 Bedford County has 40 voting precincts in townships and boroughs. Need personal help? Contact Us.